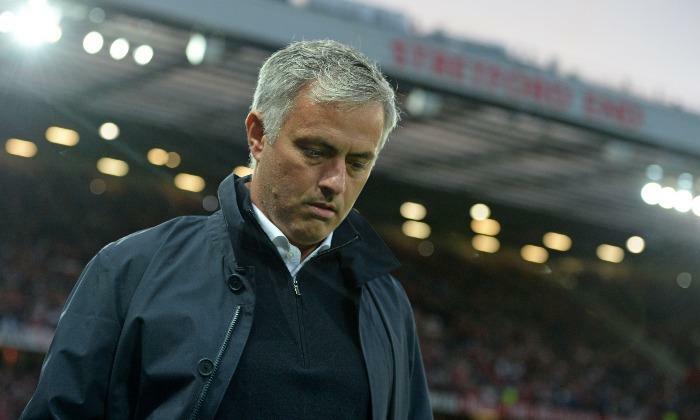 Home / Sports / IS THIS THE END OF JOSE MOURINHO? IS THIS THE END OF JOSE MOURINHO? Football managers are a rare breed. The very best ones are self-confident, charismatic and obsessive workaholics. They are leaders of men and perfectionists who obsess about every minute detail because at the highest level, there's a thin line between success and failure. So it is always rather alarming when the one thing they have zero control over, father time, hits like a bolt out of the blue. 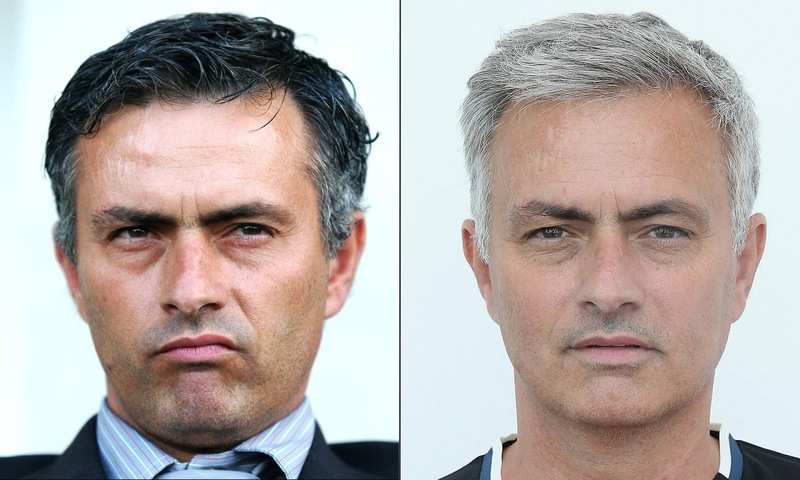 There is always something rather sad about watching the steady erosion of greatness and we might just be witnessing another example in the decline of Jose Mourinho. The facts bear very grim reading indeed. This season Manchester United lost three games in a row in the same week and the last time a Mourinho team lost three consecutive competitive matches in a single campaign was in 2001/02. In total, Mourinho has lost 13 of his last 27 league games as a manager while his previous 13 defeats came over a span of 135 league games; the evidence against him is mounting. There comes a time when all the greats realise that they can no longer perform the way they used to and watching Mourinho, he seems so sedate and callow, especially when compared to his earlier days. His press conferences do not emanate the same excitement and his tactics seem much duller than usual. This negativity is beginning to erode his brand and perception is most usually a reality in the football business. There is a new age of managers in the league right now, with the likes of Pep, Klopp, Pochettino and Conte. All of them are extremely animated on the touchline and their teams favour a high tempo style of play that makes Mourinho look dated. They seek to create and unleash the creativity of their players while Mourinho would rather destroy and stifle creativity. This new school of managers have hit like a tidal wave and one wonders whether Mourinho has the will to adapt. He seems too willing to swim against the tide, almost like he is in denial. He is not fully utilizing Paul Pogba’s gifts while he prefers to play Blind, Fellaini and Lindgard in big games instead of Shaw, Martial, Mata, Mkhitaryan and Schneiderlin. We are left to wonder whether the disaster of Chelsea’s title defense has cracked his self confidence to the point of no return. His major strength of being able to motivate and prepare his players seems to have deserted him as his fall out with star players like Hazard and Terry would suggest. It would be stupid to write him off at this stage but questions must be asked of his tactics and whether he can utilize the squad he has to its fullest potential. After all he has won trophies with less caliber players in the past. His Porto team conquered Portugal and Europe while his Inter Milan team won the treble. One thing that we do know is that if he fails to lead United into a glorious new era then he will be completely damaged goods. Football can be cruel and no one will know better about this than Mourinho. Having spent money to assemble the most expensive squad in world football he must deliver. while i agree with the first sentence in the last paragraph, i strongly believe that it is still too early to judge if this is surely the end of "The Special One". First, it is pertinent to note that the gap between the so called "big teams" and the "lesser ones" has diminished to the extent that a small club like Alaves can go to the Nou Camp and beat almighty Barcelona FC. As such, almost every team will now go through a phase where they have poor results, which is what Man Utd is experiencing now. Second, Mourinho has come to a Manchester United side that can no longer boast of top quality players they (Man Utd) and Mourinho himself have been used to over the years. The influx of money in the game right now has ensured more "small clubs" can keep their best players and "big clubs" cannot poach them as easily as they used to. This means small clubs can remain competitive and "big clubs" cannot have it their way as it used to. As a result, Mourinho and Man United will continually lose more games now than the time of the Great Scot, Sir Alex Ferguson. Third, Mourinho is still acquainting himself with his new environment and still needs time. the new age managers the author mentioned above also didnt hit the ground running- Klopp had a worse points per game record than Rodgers in his first 9 Premier League games (1.5 for Rodgers, 1.33 for Klopp); Pep Guardiola has just gone on a 6-match winless run for the first time in his career; pochettino barely had a 50% win ratio in his first 10 Premier League games; Conte on the other hand, saw his Chelsea side bruised by both Arsenal and Liverpool that people were already calling for his sack. After all has been said and done, i still believe that Mourinho is still the Special One and will bounce back from whatever setback he is having. Oh, of course, i am a Manchester United Fan.